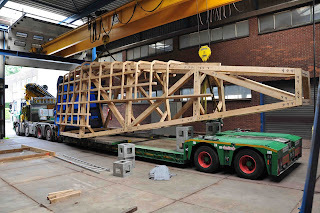 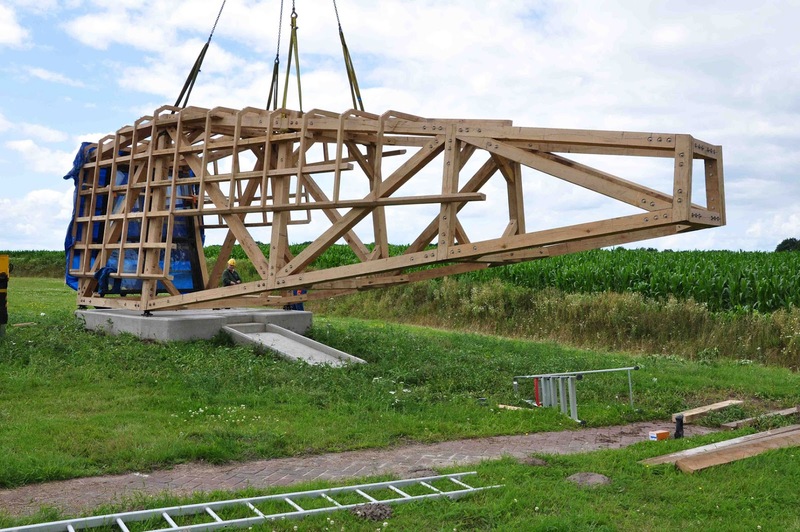 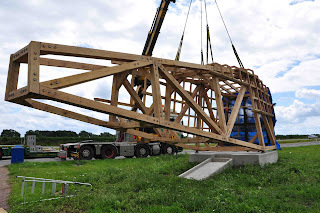 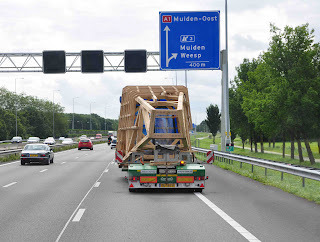 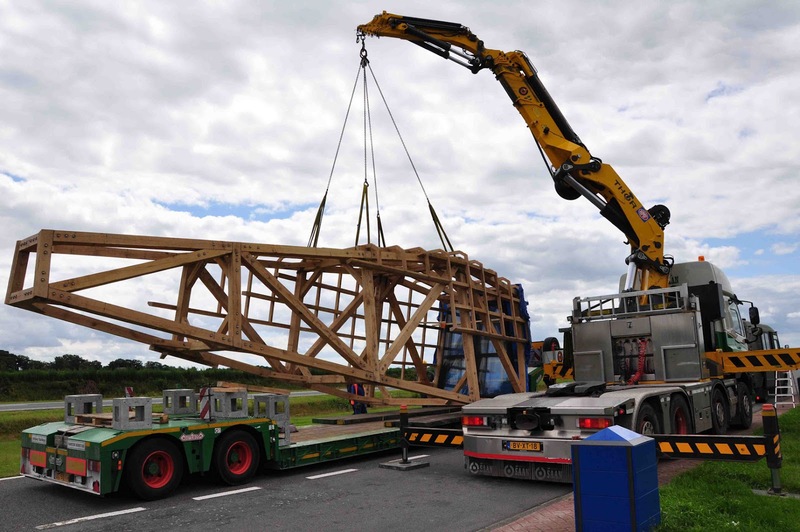 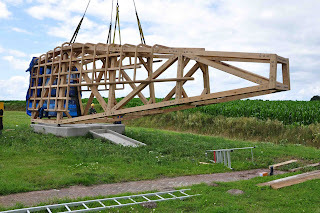 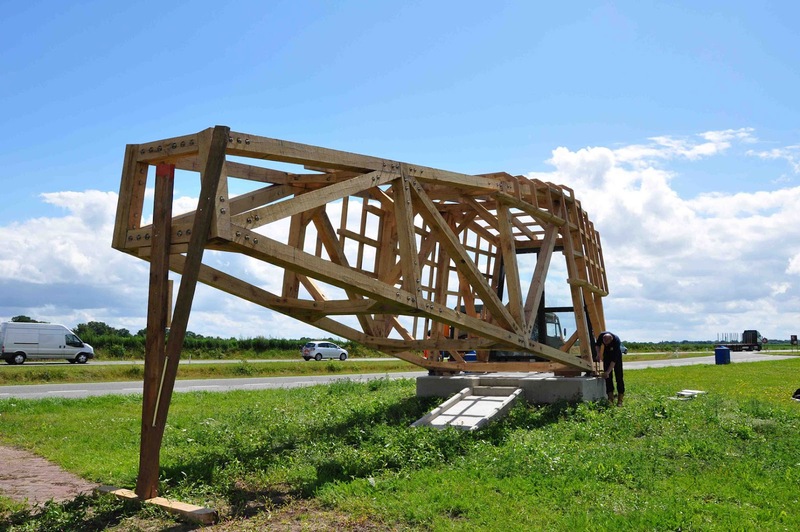 Ronald van der Meijs: Transport of the sculpture Obscura Reverse. 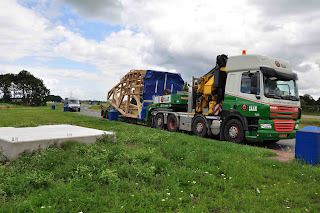 Transport of the sculpture Obscura Reverse. 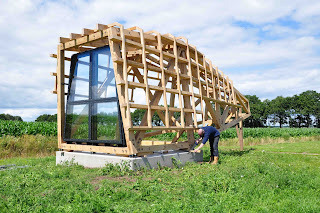 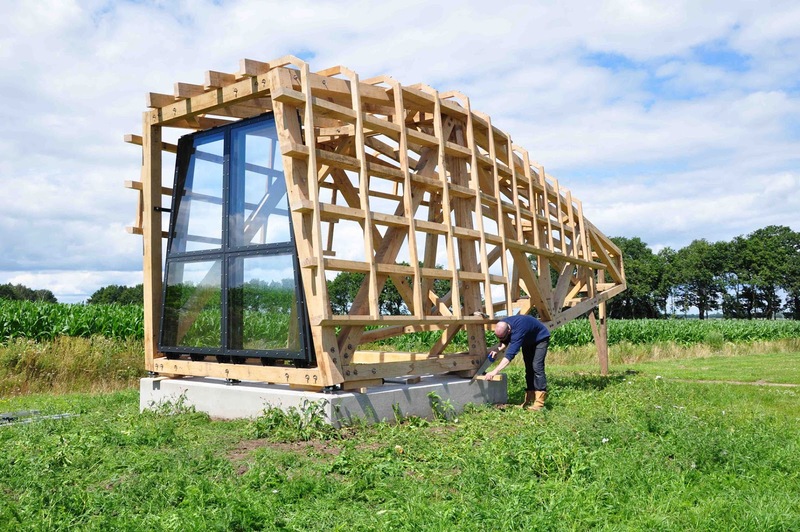 On it's way to Dalen near highway N34 in Drenthe, the north-east province in Holland. 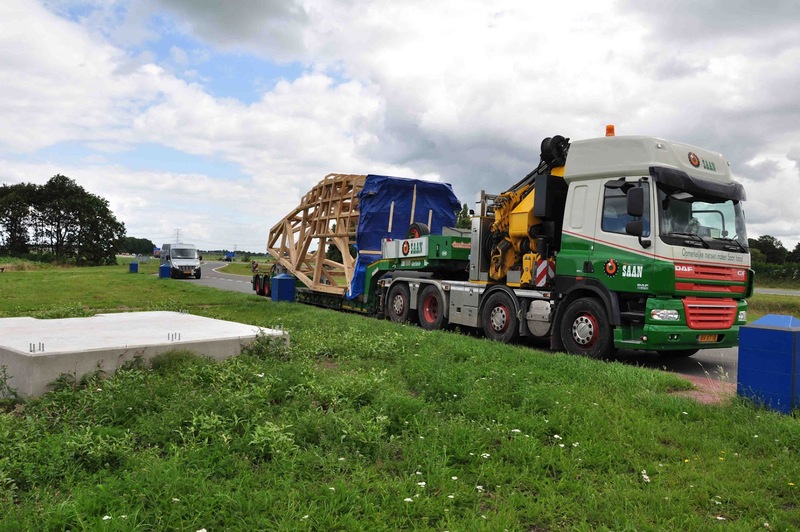 Unloading the sculpture. The driver Willem had to find the ballans-point to lift it up and put it down properly on it's 20 foundation bolts. 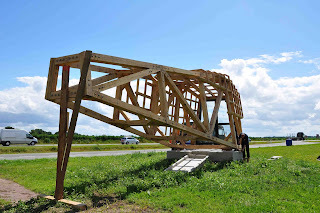 I'm happy to say that it fitted exactly!